The world of Trandor is a place of high adventure where evil and good wage never-ending war for dominance. On the sub-continent of Eedan culture and civilization have flourished beyond other parts of the world due to its isolation. It is a world where the gods, both good and evil, have guided the hands of its inhabitants as little as possible, but still make their wants known. Great wizards and valiant knights work together with mighty priests to stem the tide of evil minions that once again threaten the good peoples of the Eedan. Many centuries ago men first came into the valleys of the two Rootans in search of greener pastures. They had come across the mountains from the plains of Goditzhod. Much of ancient history is lost, and so little is known of mans early kingdoms. One thing is certain; the expansion of men into the Eedan sub continent pushed many non-humans to the island of Glanden, and caused many others great harm. Eventually Mankind and non-men settled down to a peaceful coexistence. By the Imperial calendar this was sometime around 1200 B.E. (Before Eeedlan). At this time a second invasion of men caused men in the northwest of Eedan to move to the eastern half of Glanden. It took centuries (400 B.E.) for things to settle down again, but once they had the Dwarven, Gnome, and Elven kingdoms were all well established in their borders, and held treaties with the countries surrounding them. The kingdoms of men were on the other hand always warring with each other or with the ever-threatening forces of evil that had planted themselves to the south. In the North the rich lands between the Eed and Cant rivers was being turned into a strong kingdom by the people of the city Eed. Soon the land from the E. Rootan River to the Rood Mountains in the west was all the Kingdom of Eed. In 32 B.E. a cunning and ambitious king of Eed rose to prominence amongst the kings of the other northern lands. His kingdom could outfight, out trade, and out negotiate, any other kingdom. He quickly occupied, and bargained for most of the Northern part of the continent. This Kings name was Eedlan and he was named Emperor of Eed on his 59th birthday. The Emperor had consolidated his lands to the west and north, and had even taken half of the Elven forest of Lindasiya. The three Imperial regions were in almost perfect harmony by his death in 61 I.E. His son Eedlan II was a capable ruler, but not nearly as ambitious as his father, and so the empire expanded no further than the Kingdom of Borin on the Borin peninsula in the east. Eedlan II ruled until 101 I.E. and left the empire to his nephew Clamodious. South of the Empire the Dwarven kingdom in the Rood Mountains acted as a buffer zone against the terrible wars waging in the kingdoms of the south. The men in the southern part of the continent took longer to build up great kingdoms because of constant invasion by Orcs Goblins, and Hobgoblins. Around 250 I.E. two kingdoms between the W. Rootan River and the Rood Mountains had become strong enough to push back the tide of evil. The armies of the kingdoms of FairOak, and of Rancor crossed the Rootan in 268 I.E. sweeping their way south and east. The army of Rancor managed to push the evil armies as far east as the Rootan, and down to Clocknok forest. The army of FairOak cut a great swath to the south then turned east to join forces with Rancor. The Armies of FairOak and Rancor were halted though by a mixed force of Dark creatures, and evil men working together. The Corak River stalled the army of FairOak, and the army of Rancor met stiff gorilla resistance in the plains. So by 288 I.E. the two armies settled down in the countryside for a war of attrition. This war lasted 500 years and cost many lives. The enclave of evil men became known as the kingdom of Damnmen, and where the two good armies had surrounded them the great kingdom of Hardia, and weak petty kingdom of BeedleBrau grew. For the last 200 years there has been relative peace in the region, but no end of the evil peoples. In the eastern half of the Eedan Empire pressure was being brought against the bordering counties of Borin to integrate into the Empire. By 756 I.E. the last of the western Borin nobles signed a treaty with the Empire, and an army of occupation was allowed to freely settle in western Borin. The King of Borin was so upset he sent most of his army into the field to fight the invasion. The army was decimated on the field of Craneneck, and with little resistance to his troops Emperor Tanidus II entered the Borin Capital of Fhyshtayl, and claimed the final territories of Borin for his people. The Island kingdom of Glanden has a long history of migrations from the continent and great kingdoms have risen and fallen upon its shores. The first of Glanden’s inhabitants were the Dwarves and Elves pushed from their homes by the migrations of men. It was around 1700 B.E. that the great Elf king Arnox declared that the forests streams and plains should be a welcome place for all races, and shortly after that the halflings came to Glanden. Arnox was a leader unlike any since and the peoples of Glanden flourished under his care. 500 hundred years of peace was quickly changed to strife as the first humans from the continent made their way to Glanden in 1200 B.E.. Arnox worked with great diligence to integrate the human refugees into his kingdom, but by 800 B.E. he died and the next 100 years saw the slow decline and eventual ruin of his idyllic empire. The men who came to Glanden were by no means evil, and while the political situation shifted away from non-human influence, the dwarves elves and halflings of Glanden were content to live peacefully in the west of the country. The kingdom of men in the east grew over next 100 years and if not for an incursion of evil forces through the underworld would have been fairly peaceful. In 498 B.E. evil minions, directed by Golardi the dwarven god of avarice, dug through the many layers of the underworld into the Dor Mountains. In desperation the Dor Dwarves sent envoys to the kingdom of men. Fearing that his kingdom was too weak King Randall forbid his barons to send any troops to the Dor. After hearing of their king’s misguided decision the barons and counts holding lands near the Dor rebelled and formed a coalition kingdom. Unfortunately Randall decided that he would rather punish the rebels than see to the safety of the island. For nearly a century civil war raged in eastern Glanden, and the peoples of the west were overrun and much of the Dor Mountains were occupied by evil. The rebels overcame Randal’s son Horace in 416 B.E., and by 410 B.E. had sufficiently rebuilt their forces to begin the Grand Crusade. From 410 to 345 B.E. men from East Glanden made it their sacred mission to go into the Dor and West Glanden to battle evil. It was during this crusade that an elven wizard named Anjox (a great-grandson of Arnox) discovered one of the Gems of Planar Shifting. He took the Gem and hid for many years to keep it from the hands of evil. As the crusade continued and evil was driven from much of the Dor. Men moved into more and more of the western parts of Glanden and by 250 B.E. men had seen all of Glanden. Several hundred years of rebuilding and relative peace followed the Grand Crusade. The Dor Dwarves moved back into most of their halls as the evil forces retreated. The elves and halflings resettled in the lands they had lost, and the combined races of Glanden formed one kingdom. In 422 I.E. The forces of evil tried once again to invade the island. This time they came by sea from southern kingdoms on the continent. Cruel men and evil humanoids raided and occupied the island for decades. Glanden prevailed by producing a mighty navy to repel the raiders and invaders at sea. With its rise as a seafaring people came a shift in the religious focus of Glanden’s people. In the capitol of Fent a great temple to Flux the water god was completed in 502 I.E., and the religious councilors of the kings were chosen primarily from the priests of Flux. As time went by worship of Flux became almost a state religion, and the Dor Dwarves were moved to rebellion. While little open war actually took place the severe depletion of ores sorely hurt the kingdom. 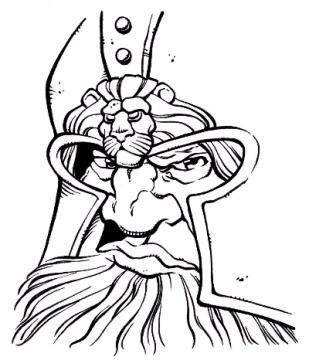 The kings of Glanden were unwilling for so long to openly war upon the dwarves who they considered their people as well. For nearly 400 years the dwarves of the Dor acted as though they lived in a separate kingdom. They traded with the rest of Glanden, but kept their own border guards and set toll on the mountain passes. In 967 I.E. Ganius a great priest of Traccus the Almighty proselytized for a less singular focus to religious authorities and a return to praising all the elemental gods equally. He succeeded in taking the hands of government out of religious life, and brought the dwarves out of their long rebellion. Still, despite all the best efforts of good peoples, the Dor Mountains were a center of trouble. Around 1100 I.E. evil once again made a bid to take hold in Glanden. This time cults of evil gods began to secretly infiltrate small communities around the Dor, and would sow the seeds of later strife. Most dwarves of Trandor live in and around the Rood Mountains and few venture beyond their mountain homes. The few dwarves that have made their home outside the Rood Mountains live in Glanden. They are called the Dor Dwarves. There is great enmity between the Dor Dwarves and the Rood Dwarves. It was the Dor Dwarves who left the great halls to fall to the forces of the first men who moved through the Rood Mountains, and those who stayed to defend the halls never forgave their brothers. The dwarves have forgiven men for what is seen as youthful folly, but never each other. The Dwarves of the Rood see it as a tribute to Hemis and their god Filli to fight against any evil that tries to take hold in the mountains. Dwarves themselves are not prone to evil and most see evil as a distraction from great works. This has not kept evil from falling upon the dwarves though. Many a great hall now lies in ruin or is overrun by forces of evil and the sagas tell of many a fallen defender. Some of the Dor dwarves pushed from their homes have become wild and barbarous nomads living in small tribes. Dwarves are boisterous and outgoing amongst their own, but to the outside world show only the grim face of determination. A dwarf who makes a friend of a non-dwarf, however, is steadfastly loyal, and lets some of the inner dwarf shine through. It is said Hemis took what was left after making the forests and placed it upon the ground and forgot about it. One day Flux changed the flow of the Rootan River and it flowed over those remains. 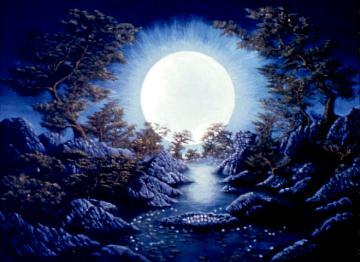 When Flux let the river return to its banks there lie Selendis Mother of Elves. It was she who nurtured a race both childlike and wise. The elves had little fear in those early days and spread over many lands but it was the forests that chiefly called to them. The forest is where most elves make their home. That same spirit of adventure and discovery has left the elves spread far from each other and only in the forest do they have strength in numbers. Though man has taken much of the elven forests the elves still make it their mission to guide men to a humbler condition. This has meant that elves are often haughty with man. Despite being a younger race than man they were told by Hemis to watch over and protect mankind both from evil and folly. It is hard for elves to understand man. Having much longer lives many are content to move slowly in their mission and some have rebelled against it. The foothills and rolling lands of the gnomes lie mostly to the east of the Rood Mountains. There the gnomes keep their kingdom of Gilderhom as peaceful as possible. The gnomes consider themselves brothers to the dwarves though their temperaments are completely different. The gnomes are great revelers and tricksters, and are quick to joke even with complete strangers. They are ingenious creators of traps and machines. Those who invade a gnome’s home must proceed most carefully. A few gnomes followed the dwarves who moved to the Dor Mountains in Glanden. These gnomes have settled in small villages and towns along the foothills of the Dor. The first men to step on the shores of Glanden were greeted not by dwarves or Elves, but by a people till then thought only a legend, the halflings. Since that time those adventurous amongst them have spread to many lands. The halflings of Glanden are the most typical of their quiet kind. Long before men had settled down from their long wars Fredda the goddess of halflings took them to Glanden to keep them safe. Halflings are cousins to humans. When men first came to the plains of the Rootan they were nomadic and rushed headlong down the river to new homes, but a few tribes of diminutive folk of a less nomadic nature paused in the hilly forested lands near the headwaters of the Rootan. For centuries they lived peaceful quiet lives. They loved good food, smoked pipes, and told tales of the great migrations across the desert lands. So idyllic were the lives of this quiet folk that Tress the goddess of air herself went among them and lived as one of them from time to time. After a long while the forces of evil that had first pushed men west came across the Hod Mountains. They came in small numbers, but were too mighty for the small people to stand against. A princess who lived near the small folk entreated her father to aid them in their plight. She was known for her kindness and generosity but her father refused to help and the little people seemed doomed. The princess Fredda then made a great and terrible sacrifice. Near a halfling village that was about to be overrun she lay down in the path of an evil army. Tress who was nearby heard the wailing of the village split the air. Before the eyes of the villagers the princess was trampled beneath the feet of a thousand hobgoblins. Rushing to the scene Tress saw Brickus the god of terror urging his troops to do unspeakable acts to the villagers, and when she saw the princess’ body laying in sacrifice she let loose all her fury upon Brickus’ hobgoblin troops. She fought Brickus then and drove him away. She summoned the other gods to witness Fredda’s sacrifice and it was agreed that Fredda be given immortal life, and made the patron goddess of what would now be the race of halflings. The halflings were taken to Glanden where they could be safe for many long years. Since the arrival of men in Glanden the halflings have spread back to the continent, and despite the quiet home lives most halflings live they have a reputation as roguish adventurers. Indeed this very reputation has lead many a young halfling to a career of adventuring, but most settle down after awhile to lead quiet happy lives. Players may use the standard method of generating ability scores on page 7 of the Player’s Handbook, or they may use the point buy system with 28 points to put into ability scores as per the Dungeon Master’s Guide page 20-21. Character’s may be re-rolled if the character’s total modifiers are 0 or less or if it’s highest score is 13 or less. The DM must approve any other generation system. Players may choose any race and all standard rules apply. Players wishing to have monster characters must clear such characters with the DM. 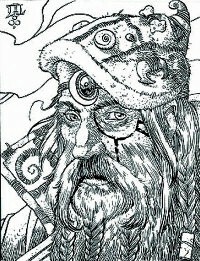 The major races of Trandor are physically as described in the PHB but each deserves some explanation as to personality. For most players the origin of their characters will be the island kingdom of Glanden. Descriptions here will be mostly regarding those living in these areas. The humans of Glanden are a hardy bunch. Most live in the eastern half of Glanden but many do live around the Dor mountains and the southwest of the island. Because of close association with other races Humans in Glanden tend to be far more open and understanding of other races. The humans of Glanden do tend to hold positions of authority on the island and in times of strife are usually the leaders of the island. The Dor Dwarves are a people torn by their own history. Early on they were sundered from the dwarves of the main continent, and harbor a great grudge against the dwarves of the Rood. They call them stiff necked and mulish. The relationship of Dor dwarves with humans is ofcourse strained by their shared history. 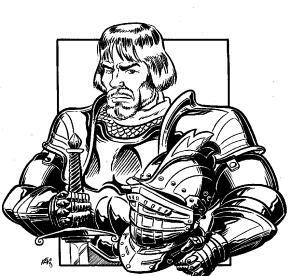 The dwarves were slow to forgive men for King Randall’s decision not to help them, and the dwarven rebellion was hard on all the other races in Glanden. 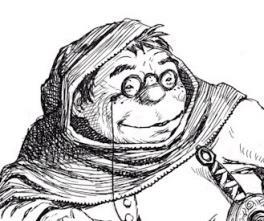 The Dor dwarves tend to be quiet, but assume an air of independence that can sometimes flare into outbursts fueled by mingled self- reproach and impatience with others faults. Many of these dwarves live in fringe communities and are barbarian in lifestyle, but seldom leave their mountain homes. Most dwarven adventurers are out to redeem their people, but if in the process they bring home treasures from abroad then so be it. The elves of Glanden generally live in the Great Forest west of the Dor Mountains. They seldom now venture beyond the forest except to trade with the other races. 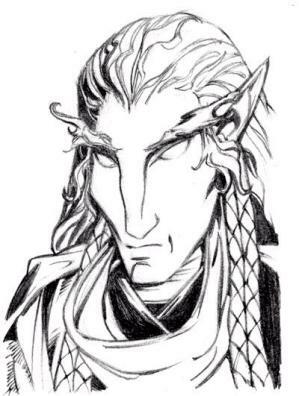 Because of this insular nature elves in Glanden are seen as mysterious and many are the legends both true and false told of their peoples and lands. The elves of the Great Forest are a very carefree sort having kept the forest safe from most evil influences. The Elves of the Fent forest though are tougher edged and have had to learn to live closely by men while protecting the diminishing forest from further destruction. On the main the elves of Glanden take seriously the role of guides and protectors to the human race, and many elven adventurers are keeping an eye on the happenings of men so they can be better informed of them. The Barbarian class is restricted to Dwarves, Elves, and Half-Orcs. Druids and Monks are NPC classes. Sorcerers are often feared and many lands have laws regarding sorcery. These laws run from the mild: fees to join sorcerer’s guilds, to Severe: burning at the stake for the use of sorcery. There are many Sorcerers guilds and beginning characters start in a kingdom tolerant of sorcerers. Players may use most skills or feats listed in an official WOTC publication including Dragon Magazine. Any skills or feats not listed in the core rules (PHB, DMG) must be cleared through the DM. Characters may be of any non-evil alignment. The Gods of Trandor are headed by Traccus the All mighty and Fellhem the revolting. They are the polar opposites of good and evil. Through the lesser gods Traccus and Fellhem have shaped the world. At first they acted in cooperation, but later in strife and war. There are those who worship Traccus and Fellhem directly, but most worship through one of the lesser gods. The lesser gods are many fold but only the most important in terms of numbers of worshippers are listed here. Traccus (Track-us) god of ultimate good is chaotic good. He and his brother Fellhem created the world of Trandor and the lesser gods. He is worshipped universally among good creatures. His associated domains are: Good, Healing, Knowledge, Magic, Protection, Sun, and Travel. His favored weapon is a lightning sword. Fellhem god of ultimate evil is lawful evil. Like his brother he is a universally worshipped god and evil creatures pay him homage. The domains associated with him are: Death, Destruction, Evil, Magic, Protection, Travel, and Trickery. His favored weapon is a dagger. The first gods created by Traccus and Fellhem in the early days when they were not at war were the gods of the elements. Flux the god of all waters, is chaotic good. 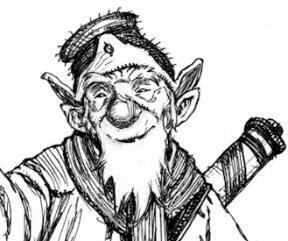 It is Flux that all sailors and fisherman pray to, but Flux is also a great patron to Elves, and farmers. His associated domains are: Animal, Chaos, Good, Luck, Travel, and Water. His favored weapon is a trident. God of earth, Hemis is neutral good. Hemis is the patron of all things on or below the earth. He is revered by dwarves and feared by the evil things of the underworld. The domains associated with Hemis are: Animal, Earth, Good, Plant, Protection, and Strength. His favored weapon is a war hammer. The fire god Tempus is chaotic good. Tempus has no clear set of followers but is worshipped even by evil creatures for his tremendous power. His associated domains are: Chaos, Destruction, Fire, Good, Magic, Sun, and Trickery. His favored weapon is a fiery brand. Tress the goddess of air is neutral good. Tress is the wife of Hemis and is worshipped by many for her goodness alone. Her associated domains are: Air, Animal, Good, Healing, Knowledge, Luck, Magic, Travel, and Trickery. Her favored weapon is a scythe. Created by the Elemental gods the gods of the non-human races are the progenitors of those races. The first Gnomes Dori and Damiya are chaotic good. They are the progenitors of the gnomes and are praised even among dwarves as clever and artful. Their domains are: Chaos, Earth, Knowledge, and Trickery. Their favored weapons are darts. The Father and mother of dwarves, Filli and Finya are lawful good. No other gods aside from Hemis are as highly praised among dwarves as Filli and Finya. They are creators of many dwarven wonders. Their domains are: Earth, Knowledge, Law, Strength, and War. Their favored weapon is a two handed axe. Fredda the goddess of Halflings is neutral good. Fredda was once a human princess, but was elevated to godhood by Tress and was given the mission of watching over the halflings as their patron goddess. Her associated domains are: Good, Healing, Luck, and Travel. Her favored weapon is the short bow. The gods of influence, so called because they are more likely to directly intervene in the lives of mortals, have many worshippers and bring the messages of the greater gods to Trandor. Deninya the goddess of healing is neutral good. Many who suffer call upon her, and in times of strife and war she is always at hand. Her associated domains are: Good, Healing, and Knowledge. Her favored weapon is a healing hand. Fallnor the god of farmers and harvests is chaotic good. Entreated for help over all of Trandor Fallnor is often called upon even by the forces of evil to aid in the growing of crops. His associated domains are: animal, Earth, Plant. His favored weapon is a scythe. God of knowledge Miron is neutral good. All seekers of knowledge call upon Miron even those of evil bent. He is praised among scholars and wizards. The domains associated with him are: Knowledge, Luck, and Protection. His favored weapon is an ink quill. Goddess of justice, Serene is lawful good. Serene is considered the most powerful of the gods of influence. She is most revered in the empire of Eed as a champion of good, and has even led men in times of war. Her associated domains are: Good, Law, Protection, Strength, Travel, and War. Her favored weapon is a long sword. God of magic Trellak is chaotic good. Quite possibly second to Serene among the gods of influence is Trellak. He it is that sees and hears the entreaties of the arcane magicians of Trandor. Even those of evil intent will call on his name in need. His associated domains are: Chaos, Knowledge, Luck, Magic, Protection, and Trickery. Players should use table 7-1 on page 95 of the Player’s Handbook to determine starting gold and may add 50 gp to that total. Characters may be equipped with any item listed in the Player’s Handbook.